Definition: Somebody you cherish, a favourite person. Example: My kids are normally the apple of my eye, but after their behaviour on the car journey, I may have to reassess that. 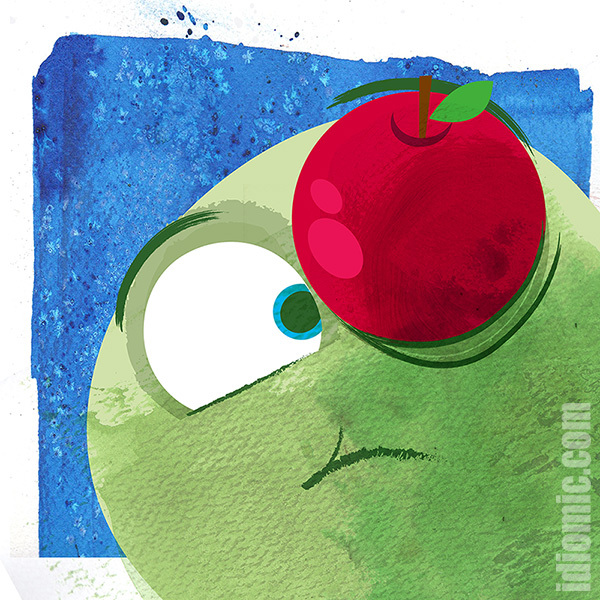 In olde English, the pupils of the eye were referred to as ‘apples’ as they were thought to be spherical like a piece of fruit such as an apple. Shakespeare used the phrase in A Midsummers Night Dream (c1590), describing a character having been struck by Cupid’s arrow in ‘the apple of his eye’. The King James Bible of 1611 also uses the phrase. The Hebrew translation of the same passage uses the phrase ‘little man of the eye’. This refers to your reflection in somebody else’s pupils. You have to look really really close and invade their personal space to do this. A liitle bit of advice: don’t do it to a stranger. Going deeper down the rabbit hole of word origins, the word ‘pupil’ is derived from the Latin ‘pupilla’ or ‘little doll’. This also refers to that reflection. And that is why students are also pupils, being little people. So, what has this have to do with someone you cherish? Simply, they are somebody you keep close. Close enough to be little reflections in your eye.